Sign into the Imaging Application/Perceptive Content. 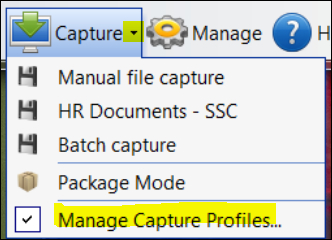 Click on the dropdown arrow next to the Capture Icon and select Manage Capture Profile. 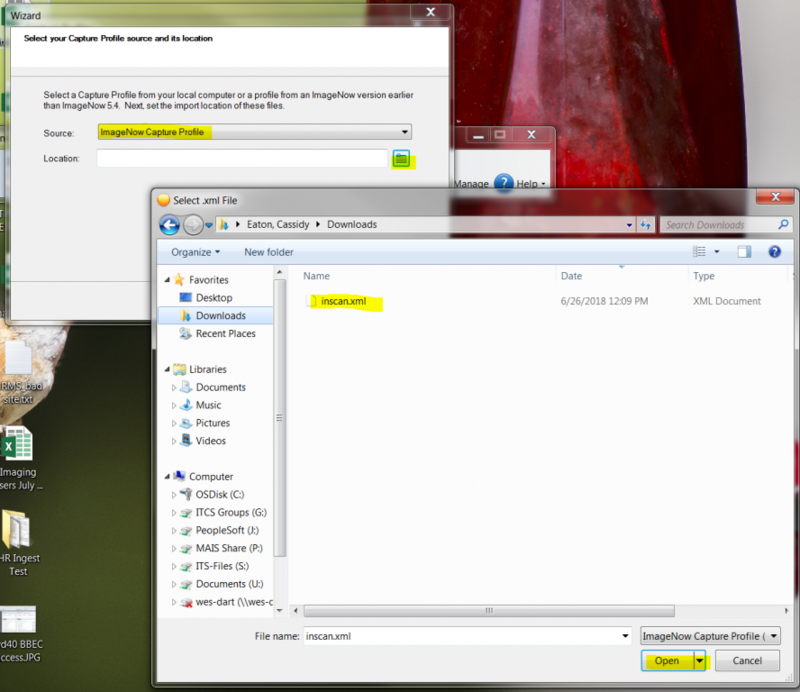 Change the Source to ImageNow Capture Profile and then click the folder icon to browse for where the inscan.xml file you downloaded in step one was saved to. 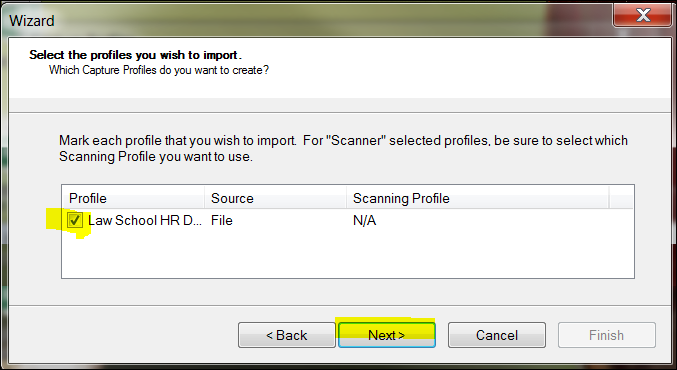 (Usually your downloads folder) Select the inscan.xml file and click Open. Select the checkboxes next to all of the profiles in the list. It could be one or many. Then click Next>. Click Next> three more times as you do not need to take any actions on the other screens. Click the Finish button when you get to the last screen. 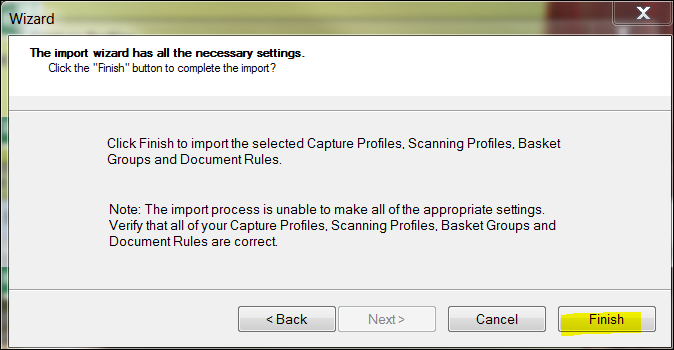 The Capture Profiles you selected will now appear in your list of profiles. Click Close. 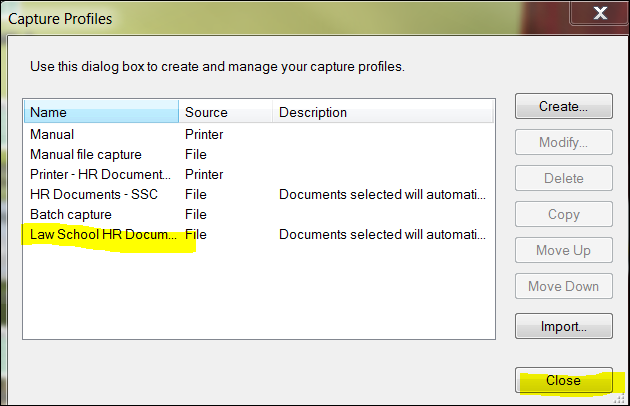 You can now use the new profile to capture documents.